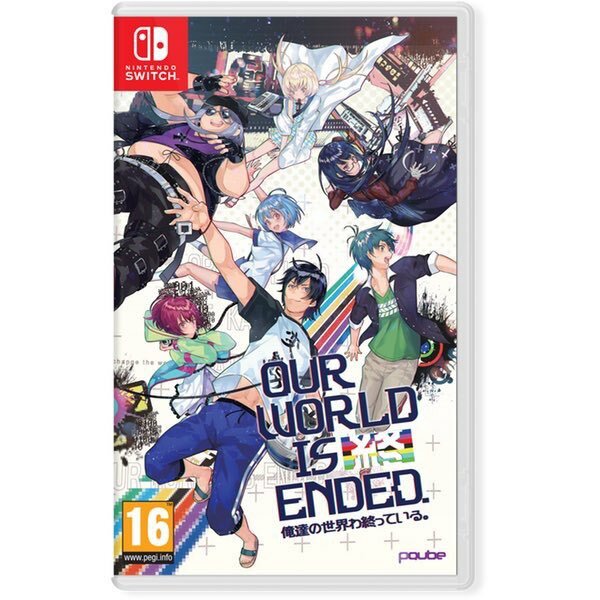 Our World is Ended follows Judgement 7, a team of young developers working on a brand new game engine called the W.O.R.L.D program. When wearing an Augmented Reality headset, this revolutionary program changes the landscape in real time. When Reiji, the game part-time director, tries the program in the streets of Asakusa, he catches a glimpse of an unsettling cityscape. Could this be a glitch or is there more to it than meets the eye? His doubts are soon to be confirmed as the members of Judgement 7 will find themselves trapped between fiction and the real world. Characters and creatures from their previous games have breached into the world and now risk of becoming reality. The city is on the verge of being overwritten. Judgement 7’s battle to bring the world back is about to begin! Key Features An Engaging Story with Lovable Characters – Meet the wild bunch that is Judgement 7, a team of eccentric game developers, trapped between reality and the game world where simple glitches can have devastating consequences! Visit Iconic Tokyo Landmarks – Set in a perfect recreation of the popular Asakusa district, Our World is Ended takes players to some of the most eminent places of Japan’s capital city. Outstanding Production Value – Talented and renown voice actors as well as gorgeous visuals rendered in a unique art style turn this sci-fi story into an unforgettable journey. The Interactive Selection of Soul System – Whenever Reiji gets flustered, the S.O.S system will be triggered. His emotions will flow onto the screen before vanishing. Quickly react to see how your choice will affect the dialogues. Over 40 Hours of Gameplay – The deep narrative and plentiful conversation options make for a lengthy visual novel full of humor and otaku subculture references!